I admire a guy with the audacity to build a replica of the most iconic mountain in the Swiss Alps amidst the (then) orange groves of Southern California, within in sight of the Santa Ana Freeway … then “plussing it” with imagination and innovention (innovation + invention = innovention). Walt Disney was that man. But what most people don’t realize is that Disneyland’s Matterhorn wasn’t a glimmer in Walt’s eye when the park opened in 1955. A pile of dirt occupied that spot–from the excavation of the moat for Sleeping Beauty’s castle–called Holiday Hill. June 14, 2015 marked the 150th anniversary of the first successful ascent to the peak of the Matterhorn, Switzerland’s most famous mountain. 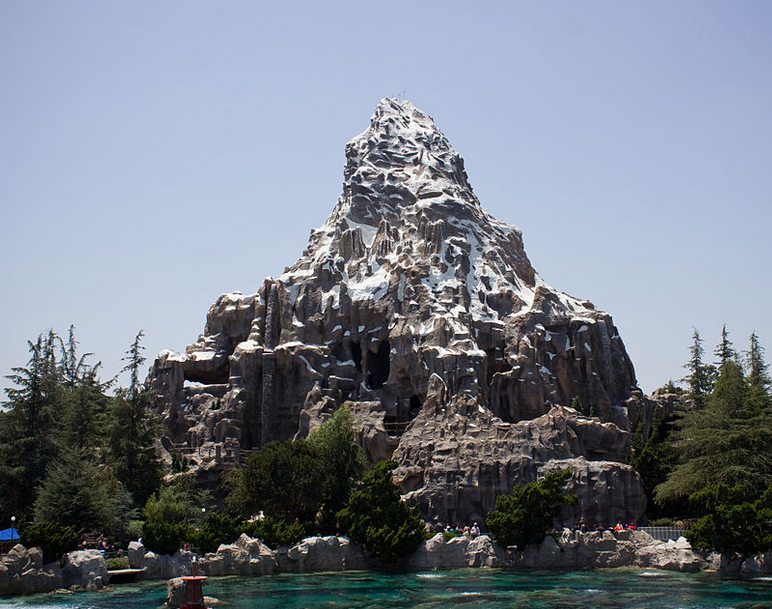 It also marked the anniversary of the opening of Disneyland’s Matterhorn Bobsleds. Walt Disney was known for his meticulous attention to detail, so I’m sure he planned the coincidence. Walt Disney and his wife Lillian loved to spend their summer vacations in Switzerland. 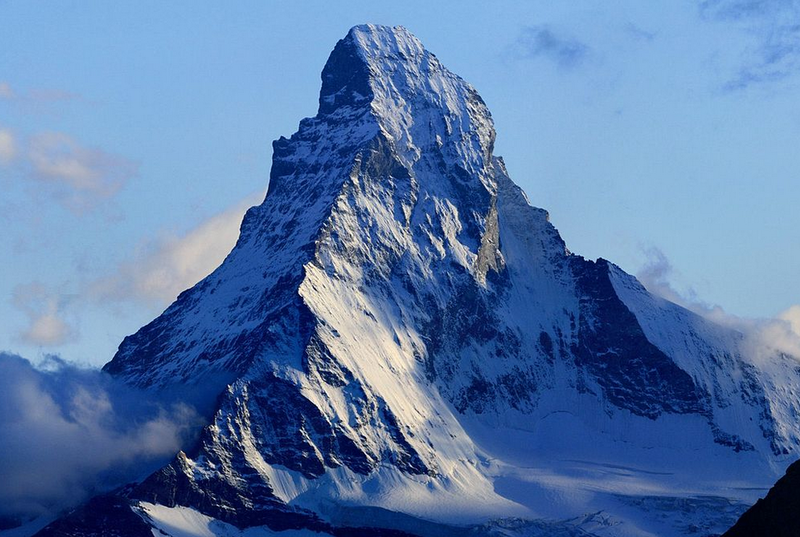 However, it wasn’t until Walt was in Zermatt, Switzerland filming the live action movie “Third Man on the Mountain” that he got the idea to build a to-scale (1/100) replica of the Matterhorn. Walt sent a postcard of the Matterhorn to Imagineer Vic Greene with the message “Build this!” written on the back. Note: “Third Man on the Mountain” was based on the 1955 Newberry Honor book Banner In The Sky by James Ramsey Ullman. A Roller Coaster “Inside” a Mountain? I often wondered how Walt came up with idea for a roller coaster inside a mountain, until I read the history of the early railways in the Alps. Remember, Walt Disney was a huge railroad enthusiast–why there’s a railroad circling the park–and he and his wife spent many summers in Switzerland. 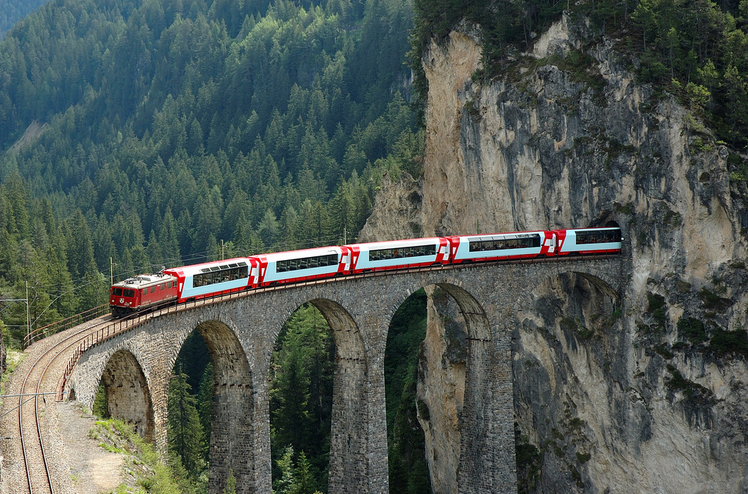 A direct railway route through the Alps was considered as early as 1848. But it wasn’t until the latter half of the 19th Century that four great tunnels were constructed. Because the change in elevation from one side of a mountain to the other was too drastic for a direct route, spiral tunnels (helicoidal) were constructed to gain the necessary altitude and maintain the required grade for safe passage. You can read more here. I spoke with Diane Disney Miller a few years ago while visiting the Walt Disney Family Museum, and asked if her father got the idea for the “bobsleds running through the mountain” from the spiral railway tunnels in the Swiss Alps? She smiled and replied, “I don’t know, but that certainly sounds like him. The new attraction had to twist and turn far beyond anything done before, and still remain safe. Bringing Walt’s idea into reality required innovention. Hollow steel pipe track was used, instead of the flat tracks of traditional roller coasters. The tubular track had bracing welded to the outside of the rails, which allowed for contact with the bobsled on the top surface (with load bearing polyurethane wheels), on the inside to control horizontal movement, and on the bottom to restrict vertical movement. The tubular track was pressurized so sensors could alert when there was wear on the rails. The bobsled cars are every bit as revolutionary as the track, as is the Ride Control System developed to operate and monitored the ride. 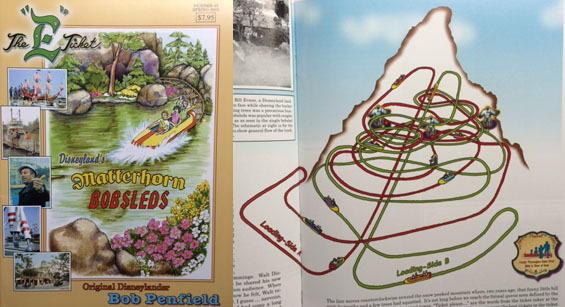 The following illustration shows the intertwined tracks of the two bobsled routes, as featured in The “E” Ticket magazine (Number 42) — Disneyland’s Matterhorn Bobsleds. Note: A selection of “E” Ticket back issues are available through the Walt Disney Family Museum online shop. I could go on and on, but I won’t. The following video is much more fun. Lederhosen aren’t required, but screaming is encouraged. This video shows the 2015 refurbishment for Disneyland’s 60th Celebration, including a revitalized Abominable Snowman, updated special effects, and new props for staging. Calling All Railfans (Train Buffs)! I read (somewhere a while back) that the Matterhorn Bobsleds tubular track rail system was later used by some narrow gauge railroads, incorporating a third (tubular) rail at the center of the track. I don’t remember where I read this, and can’t find a reference. Would love to know if this is true. Thanks!